We accept several different forms of payment for your convenience. What sort of interest rates does CareCredit offer? 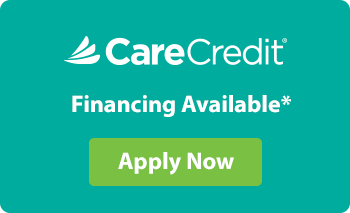 For qualifying patients, CareCredit offers no interest financing if paid within three months or fixed, low interest financing for up to 60 months. Additional plans are available to meet varying patient needs. Can CareCredit be used to pay for non-surgical treatments as well as surgical procedures? Yes, for qualifying applicants CareCredit may be used to pay for any cosmetic procedure or treatment. What will I have to pay upfront for my cosmetic procedure? With CareCredit, you are not required to pay any amount up front. CareCredit also does not apply pre-payment penalties or charge annual fees. The approval process for CareCredit is immediate. You may also be able to begin using your account before your card arrives. Where can I use my CareCredit account? In addition to using CareCredit to pay for your cosmetic procedure, you can also use it to cover the cost of dentist and veterinary visits, as well as LASIK treatments among others. How do I know if CareCredit is right for me? CareCredit offers a range of payment plans and interest rates so applying and getting approved for a plan that fits your unique needs is easy.